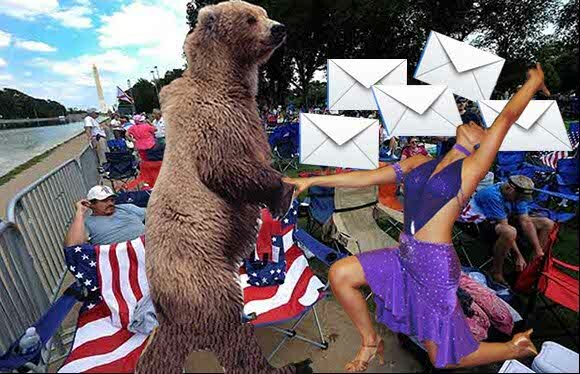 Flaws in the email voting system deployed by ABC for the talent show Dancing With the Stars are being credited with allowing Tea Party supporters to stuff the ballot in favour of Bristol Palin. Palin junior and partner Mark Ballas qualified for Monday's final of the show despite consistently mediocre marks from expert judges that have been overturned by public support. Conservative Tea Party activists are apparently using a loophole in ABC's email voting system to submit multiple votes for Bristol, daughter of former Alaskan governor and possible Presidential candidate Sarah Palin. MSNBC reports that activists are using sites such as the HillBuzz blog to co-ordinate a campaign that relies on a failure in ABC's systems to validate whether an email address submitting a vote is real or not. Activists reckon keeping Bristol on the show helps to promote the Tea Party, or at least keep it in the public eye with free exposure on national TV.